After a long, cold winter, spring is finally here and with it brings a promise of bright sunshine, warm weather, and of course, beautiful spring weddings to look forward to! For couples tying the knot this season, we know it’s a very exciting time for you, and so Fab Fete has rounded up the top spring ideas for 2015 that will make for dashing and vibrant weddings that incorporate the beauty of spring. Spring into spring with these colourful wedding ideas. There is no better season than springtime to throw a vintage-themed affair. There’s just something about an old-fashioned, classic look that everyone falls in love with while they are taken back to an era filled with treasures and soft colours. You can also combine a vintage look with a rustic feel to make your wedding even more unique. Incorporate pretty pastels into the theme. Use hues such as blush pinks, soft greens, baby blues, lavender and creamy whites and infuse them in everything from your flowers and décor, to the bridesmaids’ dresses. No doubt, a vintage-style spring wedding will be beautiful for all to enjoy. Nothing says spring like flowers blooming! How about building your entire wedding around one or two types of flowers? Let precious blooms be your focus and center your décor and bouquets around just hydrangeas, peonies, or anemones. Tulips are also another gentle and beautiful flower that you can build the elements of your wedding around. Don’t be afraid to also feature different colors of that same flower in your wedding aspects! 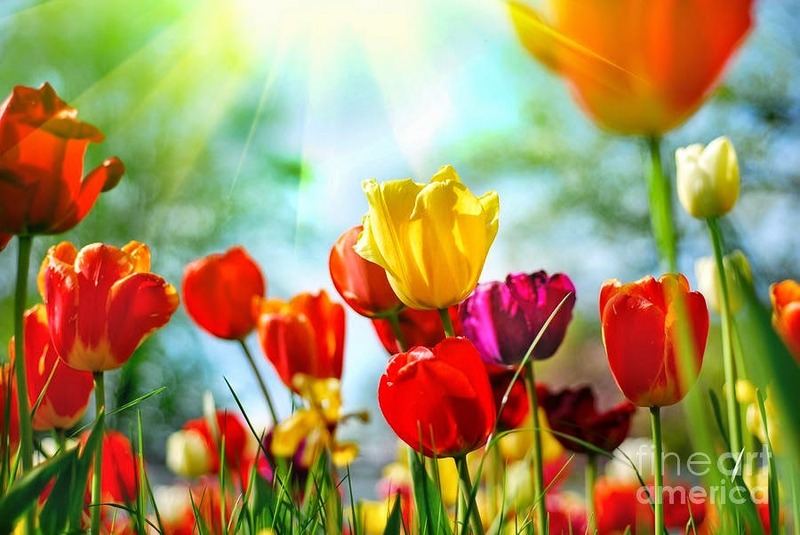 Tulips for example in yellow, pink, purple and white would make for stunning bouquets. Whichever flower you choose remember to have fun with it! 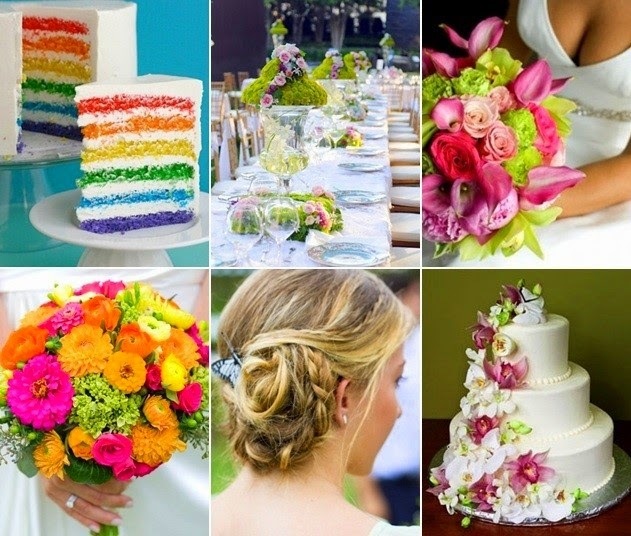 A spring wedding is a wonderful opportunity to use bright and bold colours at your affair. Elements of bright yellow, bold pinks, lustrous reds, and rich purple are sure to make a statement, and will also make for stunning backdrops in your photos. Incorporate these bright colours in your invitations and paper suite, in the bridal party attire, and even in the food with dazzling food and drinks that burst with colour. Throw the beauty of spring into your food and beverages for the wedding using the best of what nature has to offer. Opt for organic ingredients for your appetizers, entrees and desserts. 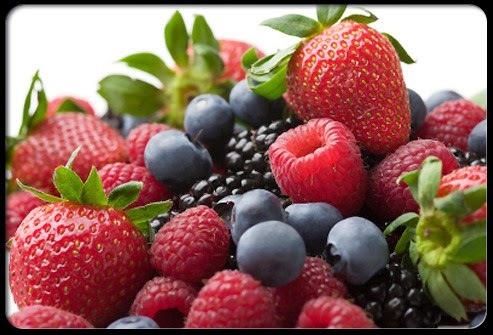 Go the healthy route using a fresh kale salad and quinoa for a starter, and for desserts have an array of fresh berries and nuts. 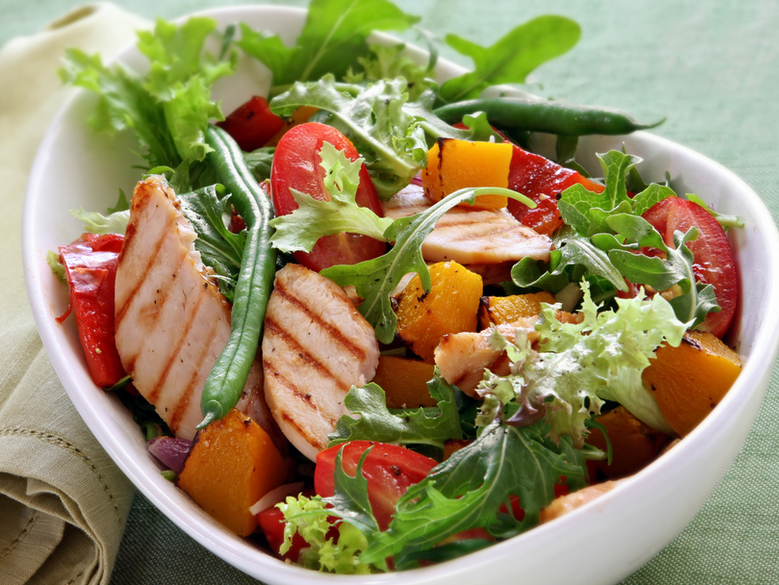 Your guests will enjoy this diversity of healthy foods that is also colourfully appealing as well. Celebrate your spring wedding with the best foods that nature provides.